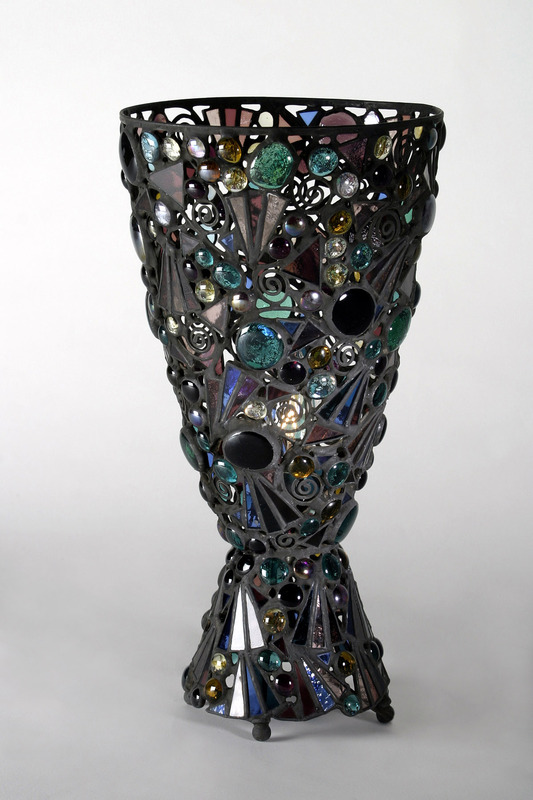 The Chalice is 15 ½" high. The opening at the top is 8" across. The base is knit tightly with triangles and gems, creating a solid looking stand.